It's an opening as old as cinema itself. Three men walk into a remote bank, leaving one waiting in the getaway car. Armed with guns and trenchcoats, they rob the vaults. Intercut with this action are scenes of a cop on his nightly rounds, following up on calls, talking to informants. The robbery is precisely planned, while the policeman's trek is subject to the whims of his city; the cop tries to bring order to the human chaos, whereas a robbery goes wrong precisely because the human element can't be controlled. In most movies, both of these events--particularly the bank heist--would move at a rapid pace, but because Un Flic (a.k.a. Dirty Money) is a film by Jean-Pierre Melville (Army of Shadows [review], Bob le flambeur), these scenarios play out slowly, at a measured pace. The robbers are stoic, speaking only when they have to, weighing each move they make. 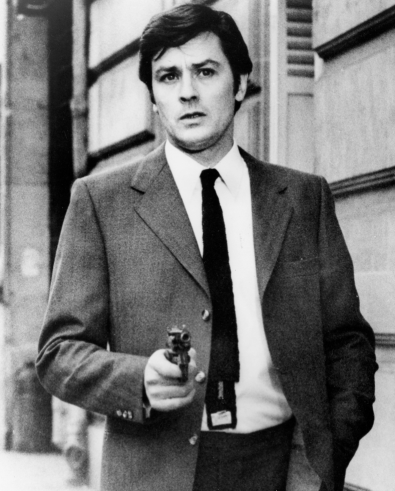 The cop, Edouard Coleman (Alain Delon), does his job gravely and by the book, meting out justice indiscriminately, but also being fair when it counts. Made in 1973, Un Flic is Melville's final film, and it provides a cynical coda to his career. Dropping the Eastern philosophy that he used in some of his earlier crime pictures with Delon (Le Samourai [review], Le Cercle rouge [review]), this time Melville opens with a quote from 18th-Century criminologist François-Eugène Vidocq: "The only feelings mankind has ever inspired in policemen are those of indifference and derision." Delon will later repeat these words, showing the weariness of his character. People will do the wrong thing, they always do. Commissioner Edouard has no idea how right he is, in fact, or how tangled in the crime he has become. 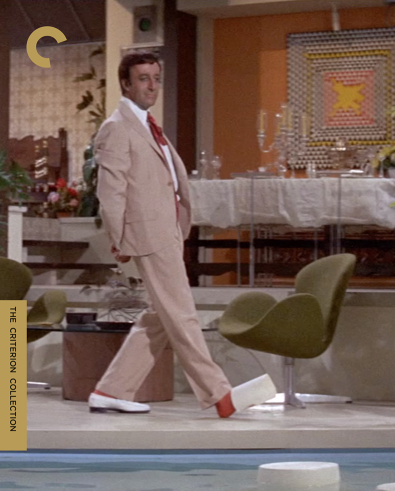 Nightclub owner Simon (Richard Crenna) is the man behind the bank robbery, and the money is meant for a larger heist, robbing a drug mule (Leon Minisin) on a train heading out of Paris. It just so happens that Edouard is also on the trail of those drugs, working with a cross-dressing snitch, Gaby (Valerie Wilson), to bust the courier when he arrives with the goods. The cop has no idea that the two cases are connected, nor does he realize that Simon is involved, a fact that is going to strike a little too close to home. 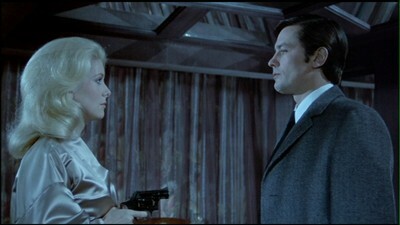 As it turns out, Edouard is having an affair with Simon's girlfriend, Cathy (Catherine Deneuve). When it comes time to make his move, this connection is going to muddy the motivational waters for Edouard. Does he make the choices he does because they are the right choices, or is there something deeper, more selfish than that? 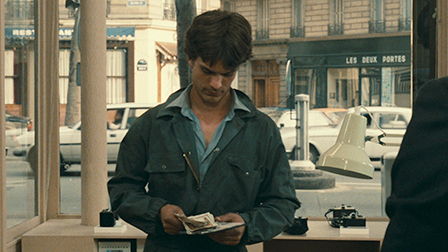 Dirty Money, the English title often used for this film is a bit misleading, it makes us think that the stolen cash will somehow end up in Edouard's hands, that this will be a story about a corruptible officer of the law. The original French title, Un Flic, which simply translates as A Cop, is far more fitting. 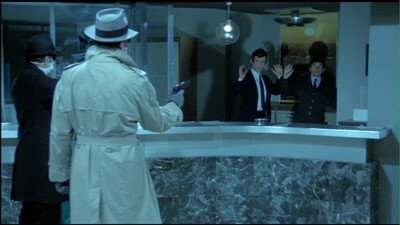 It puts the movie in line with Le Samourai, making them bookends to a larger story, each about lonely men on their own side of the law trying to do what they think is right, stuck in a system that would have them stick to one way of doing things even when that way is clearly flawed. 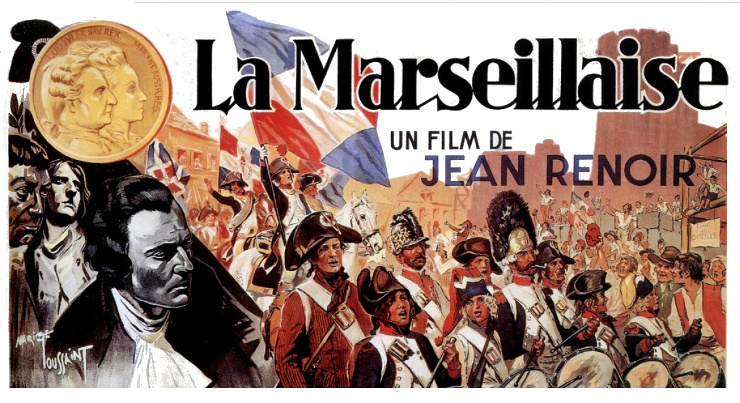 The Paris of both films is remarkably similar. Simon and Cathy's nightclub could just as easily be the one Delon visits as Jeff Costello in the earlier picture. 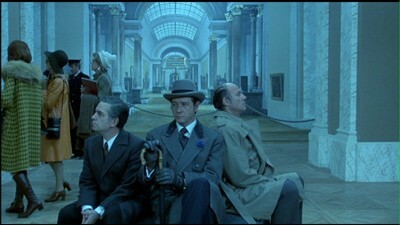 Except here, Melville and cinematographer Walter Wottitz cast the events in a blue pallor, as if a melancholic ennui hangs over all of France. Life is stuck in a perpetual, topsy-turvy lie of day-for-night. 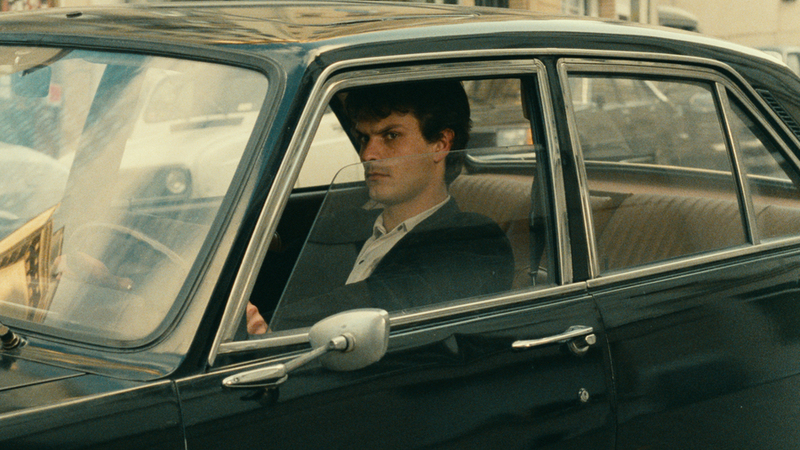 Beyond his general concerns of genre stories as philosophical vehicles--or perhaps in conjunction with the same, given his methodical approach to the crimes--as with any Jean-Pierre Melville crime picture, the robberies are meticulously constructed things of beauty. The opening bank job is fairly standard, but the theft of the drugs, which involves trains and helicopters, is ingenious, echoing in its own way the crooks dangling from a hole in the ceiling in Jules Dassin's Rififi [review]. Richard Crenna goes about his work with a silent resolve, taking each step with grim determination. What is interesting this time around is it's also the same determination that Delon's detective takes in tracking the misdeeds. The line between criminal and cop has been erased. Long sequences pass with no dialogue, just the sound of the surrounding world. It's as if words are more precious, and more dangerous, than bullets. Un Flic is a fitting end to a distinguished career. Jean-Pierre Melville was a master of his craft, and his powers had not yet begun to wane. Sadly, he passed away a year later at the age of 56, far too young for a filmmaker this spry. Perhaps that is why that final image remains so haunting, the police telephone unanswered. On the other end of the line is information about a new crime, a new case that is now a story that will never be told. 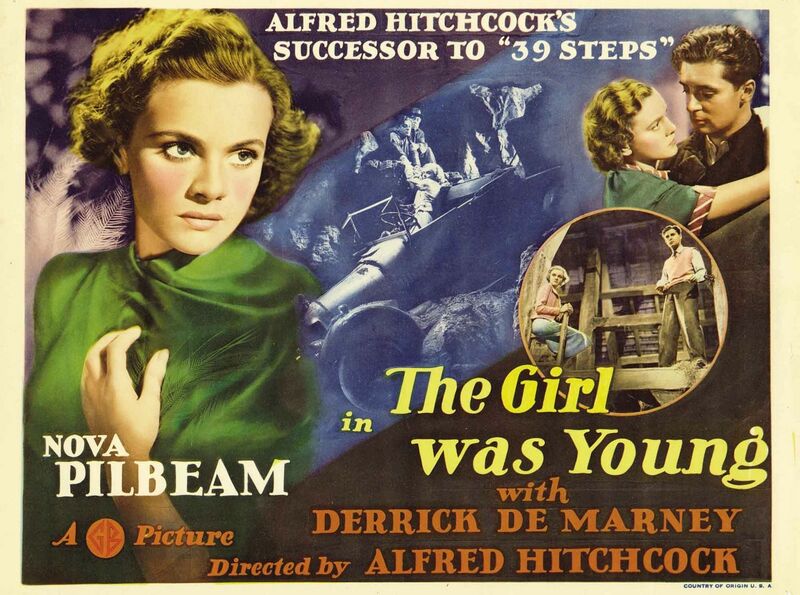 Originally reviewed for DVDTalk in 2006 as part of the Film Noir: The Dark Side of Hollywood set. Joan Crawford and Jack Palance both got Academy Award nominations for their performances in David Miller's Sudden Fear. Crawford plays Myra Hudson, a playwright who has taken little time to cultivate real-life counterparts to the romantic plots she crafts for the stage. After dismissing actor Lester Blaine (Palance) from her latest hit production for not being appropriately seductive, he proves her wrong by seducing and marrying her. Only, Myra was right the first time. 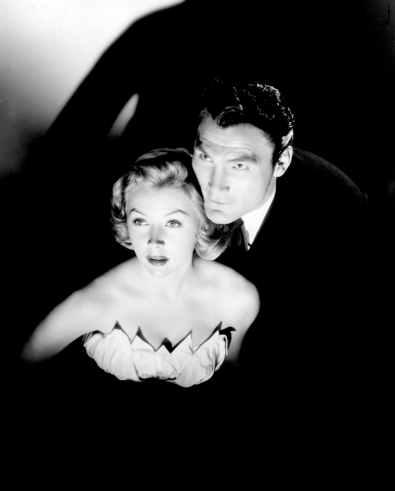 Lester is a heel, and he and his real girlfriend, Irene (Gloria Grahame, In a Lonely Place [review]), are plotting to create a tragic exit for Myra and collect all of her Broadway money. It's a classic game of criss-cross when Myra uncovers the scheme and tries to beat Lester and Irene at their own game. Miller (Lonely are the Brave [review]) has put together a nerve-wracking final act. He sets it up with an excellent montage in which Myra imagines every step of her counterattack where everything goes right, and with that as a reference point, it increases our anxiety when we see how badly it can go wrong. The action happens in the dead of night, providing plenty of opportunities for people to hide in darkened doorways and skulk around corners. Jack Palance is a large man with chiseled features, and his presence is imposing. When Myra screws up his sure thing, he grows desperate, and that actually makes him scarier. There is also something to be said for how much more tension is created when the victim is appropriately scared. Crawford's large eyes and severe mouth are a blessing in such a situation, and her fright makes Palance's threat even more palpable. There was an “everything is connected” subgenre in the late ‘80s/early ‘90s that was perhaps kicked off by Richard Linklater’s Slacker, but that really traces roots back to Max Ophuls and La ronde [review]--films where characters are connected by social happenstance (13Conversations About One Thing) or perhaps an object (Robert Altman’s Gun TV series). One chat leads to another, one careless act affects a passerby, a butterfly flaps its wings and a writer looks for meaning. 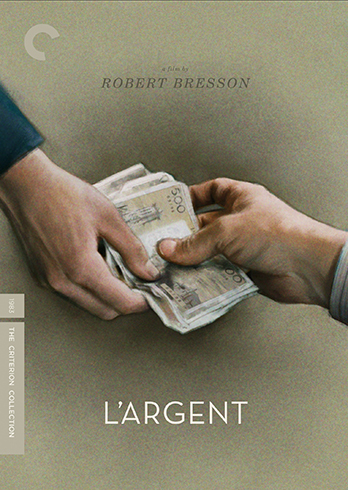 Linklater is a devotee of Robert Bresson, and it would stand to reason that Bresson’s 1983 crime drama L’argent was an inspiration. Based on a story by Tolstoy, L’argent tells the tale of several lives thrown into upheaval by two selfish teenagers choosing to pass a counterfeit bill at a small camera and photo shop. When the storeowners decide to unload it, along with other fraudulent notes, on a trusting deliveryman, they not only expose their own unscrupulousness, but force the driver into a legal wrangle he can’t get himself out of. This man, Lucien (Vincent Risterucci), is the closest we get to a main character--or at least he's the one we root for, if only temporarily. His life is the most damaged by the initial crime and the several more it inspires. His plight is transformative. He is the good man forced to be bad. It's a gradual change, one that seems natural, despite of--or perhaps because of--Bresson’s technique. The French director is famous for extracting emotion from performance and approaching his actors as poseable “models.” His cast blandly hits marks, delivers its lines with little intonation, and maintains a steady gaze. To some, it's stiff and amateurish, but once you tune in to Bresson’s wavelength, his narrative theories begin to make sense. You just have to lock them in place. It's almost like kabuki in its formalism. By staging L’argent with such a rigorous dispassion, we are spared the melodrama, we are spared being swayed by our own feelings, and instead we watch the pieces move, staying in the moment rather than trying to guess the plot twists, reserving judgment until it has all passed, the audience serving as an observant jury. We don't judge Lucien, we don’t put ourselves in his shoes, we instead just watch. In fact, when he does show some real emotion, it's such an affront, Bresson has him bury his head in a pillow. Open weeping is for other movies. Which isn’t to say we aren't invested. We totally are. The sheer cruelty of humanity underlying every callous turn is undeniable, it's just that we follow the events as we would a true crime story rather than a fiction, as if they already happened and are thus beyond inevitable. We can't help but feel for Lucien, but perhaps it makes us less sympathetic when he makes wrong turns. L’argent does not romanticize his crimes. Ironic, then, that showing the crimes themselves is the only place where Bresson’s theories fail him. While the mechanics of the violence are evident, the abstraction renders them ineffective and even confusing. Is it that showing the actual blood and gore as evidence would bias us more than the director would like, or is he just squeamish? If we are the jury, we would need to consider the victims--even after some of them are declared unlikable--otherwise the testimony is incomplete. Lucien’s actions already seem outsized, and Bresson’s editing—chopping up the scenes, showing the beginning of the action and an implied outcome (jumping from a raised weapon to blood splatter, etc.) but never the in between, proves only to make them less believable. Luckily, this does nothing to lessen the tragic poetry of L’argent. Particularly as the truly bad people, unmoored as they are by the appearance of this fake cash, suffer very little consequence. Bresson carves out a world where heeding one’s conscience only leads to mistakes and punishment. The survivors mostly serve themselves, or feign charity for effect. Which, when you really think about it, means the themes of L’argent are perfectly in sync with the storytelling. Remove emotion, stick to what can be known--and done. Though arguably a minor Hitchcock effort, this fugitive story is also prototypically Hitchcock, showcasing a man wrongfully accused on the run, searching for the one object that will clear his name. 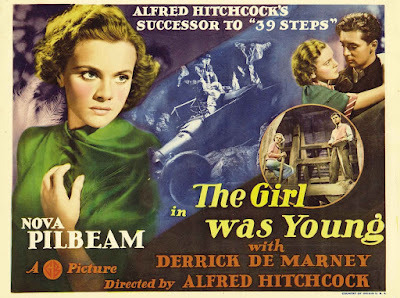 In this case, it's a stolen raincoat, and if down-on-his-luck movie writer Robert Tisdall (Derrick De Marney, Spitfire) can find it, he can prove he didn't kill the actress whom he may or may not have been having an affair with. 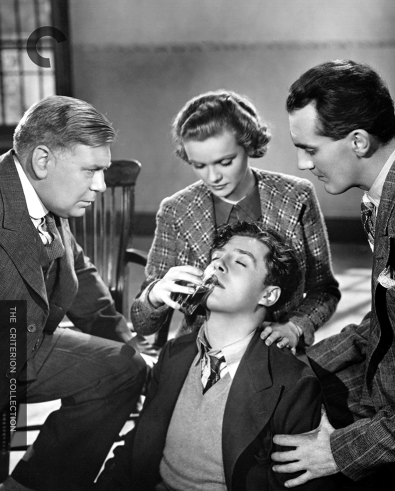 Helping him on his flight from justice, at first reluctantly and then with the romantic fervor befitting the teenage heart, is no less than the constable's daughter, Erica (Nova Pilbeam, previously in the original The Man Who Knew Too Much [review]). The more Erica becomes convinced of Robert's innocence, the more dangerous the situation gets--both her life and her heart are under threat. The tone of Young and Innocent is pretty light, with lots of humor and, of course, a healthy dollop of romance. Hitchcock has some fun with bumbling cops, but also is fairly ambitious in some of the action sequences, showing cars racing trains and one harrowing scene inside a collapsing mine. This review was originally written for the Criterion Cast in 2011. 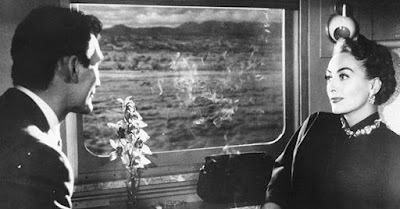 Any cinema fan knows the story of a good cinematographer is really the tale of a good painter. Legendary cameraman Jack Cardiff gives us solid proof of that idea, and Craig McCall’s documentary tribute to the influential artist lets us not only hear Cardiff’s opinions about classic painting, but to see his brushwork, as well. Cardiff, who is probably best known for working with Michael Powell and Emeric Pressburger on movies like The Red Shoes [review 1 2] and Black Narcissus [review], left us in 2009 at the age of 96, but he also left behind a tremendous legacy. 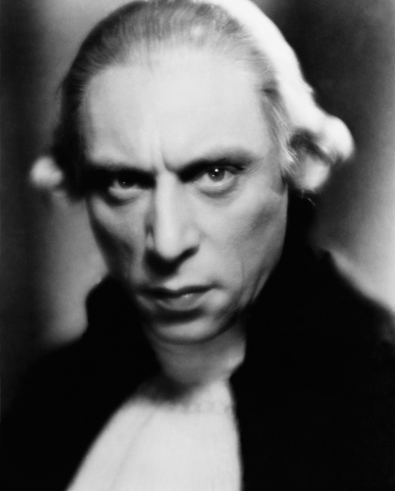 Having started in the film business in 1918, acting in his first silent film at the age of four, he never stopped working, racking up 73 cinematography credits on IMDB and directing 14 films himself. He shot high art, such as the fevered romance Pandora and the Flying Dutchman [review], but he also made incredible entertainment. In the 1980s, he was behind the lens for action films like Conan the Destroyer and Rambo [review]. 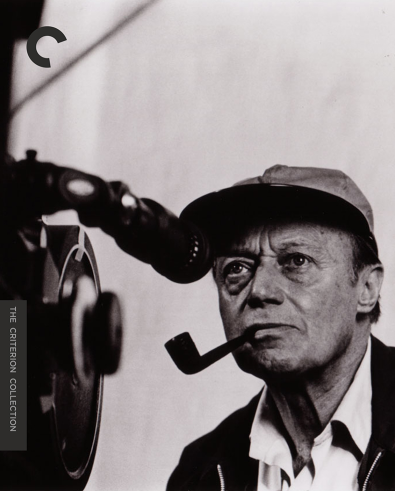 Cameraman: The Life and Work of Jack Cardiff lives up to its title. It stands as both a biography of the late filmmaker and an exploration of his extraordinary career. Cardiff worked a variety of jobs, including camera operator, in the British film industry at the advent of sound, and he was the principle photographer on his first full-length picture, Powell and Pressburger’s extraordinary A Matter of Life and Death [review], in 1946. He worked with many incredible directors, including Hitchcock, Huston, Hathaway, and Lewin, as well as some of cinema’s most celebrated stars. Sitting in front of McCall’s camera, Cardiff shares stories about Ava Gardner, Marilyn Monroe, Marlene Dietrich, Orson Welles, and Humphrey Bogart. Singing his praises are such commentators as Martin Scorsese, Lauren Bacall, Kirk Douglas, Thelma Schoonmaker, and Charlton Heston, as well as actresses from his Archers work, Kathleen Byron (Black Narcissus) and Kim Hunter (A Matter of Life and Death). Director Richard Fleisher shares tales of collaborating on films like The Vikings, and Peter Yates (The Friends of Eddie Coyle [review]) talks about what it was like to assist Cardiff on Jack’s directorial masterpiece, the 1960 feature Sons and Lovers. All of this chatter is generously decorated with clips from Cardiff’s most famous efforts, including outtakes and photos from his archives that illustrate how he put some of his more innovative camera tricks together. Cardiff shows off a photo of himself and Marilyn, and tells a great story about how it came to be autographed by the actress and her then-husband, playwright Arthur Miller. He also lets McCall peek into his portfolio of photographs of famous actresses, a combination of obsession and work research. Cardiff loved taking pictures of the beautiful women he was charged with lighting, and the still photographs taught him how to best capture their famous faces. When it’s all spliced together, Cameraman is a fascinating portrait of an artist at work. You might want to watch it with a pen and paper handy, because you’re going to walk out with a list of movies you will want to see as soon as possible. While it’s sad that Jack Cardiff passed away, it’s fortuitous that first-time director Craig McCall managed to get Cameraman: The Life and Work of Jack Cardiff in the can before he did. Cameraman is an invaluable document of the creations of a true original, and even with the heavy hitters analyzing his work here, there is nothing to compare to hearing it straight from the artist’s mouth. A must for all cinema lovers.